Edward Hammond Spearman was born in 1858 in Bideford in Devon, England to parents Richard and Caroline Hammond Spearman, née Somers. His father was a butcher before becoming a farmer and settling his family on 13 acres of land in Northam, also in Devon. Spearman arrived in Sydney in July 1888 from Plymouth aboard the ship, Iberia. He lived at 42 and 59 Redfern Street, Redfern and married Margaret Farrell in 1889 in Waterloo. She died on 21 May 1926 and her will was contested by her son from a previous marriage. Spearman married Mary Alice Lodge in Redfern in 1927. He died on 17 January 1928 at his residence on Sutherland Street, Mascot and was buried in the Catholic section at Rookwood Cemetery the following day. After working as a farmer in England and immigrating to Sydney, Spearman became the publican of the Albert Hotel in Redfern from 1891 to about 1894. He became a stable keeper with stables at 50 Elizabeth Street, Redfern. A newspaper article reported on the rescue of 40 horses when a fire destroyed the first floor of the stables on 3 April 1913. 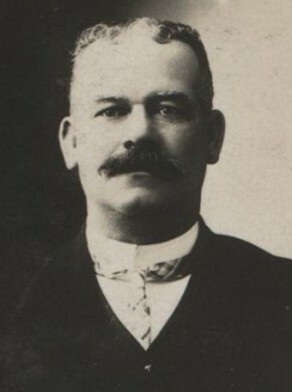 Spearman was elected an alderman of the Surry Hills Ward, Redfern Council on February 1908, serving until 1910. He stood for elections in February 1911, 1914 and 1920, and December 1922 but was not elected again.